There are so many things to do in Tokyo Japan and amazing travel experiences that you should try while you’re here! Having completed our 12 days of travels in Japan, we decided to distill all the Tokyo attractions and places to visit in Tokyo into this comprehensive post! 1. What to eat in Tokyo? Ichiran Ramen. Probably the best tonkotsu ramen in Tokyo and maybe even Japan. Midori Sushi. Waited 2 whole hours before we eventually got in! Popular sushi joint with the locals. Gindaco Takopachi was probably the best takopachi we’ve eaten so far. Beware, it’s really hot on the inside! Butadon (Grilled Pork Rice). A specialty along Ameyoko Shopping Street. Giga Shibire Butadon – 1.5kg of Grilled Pork Rice at Ameyoko Street Ueno Tokyo! Meals at Japan’s Convenient Stores (Konbini)! The top 3 konbini in Japan are Family Mart, Lawson and 7-11. You can practically find them at every corner of the city. Remember to stop by for cheap and good coffee (that’s what keeps us going on our travels), japanese bakery, rice balls or even a full fledge meal (think bento sets)! And how can we leave out the popular Japanese Curry Rice and Beef Bowl from Yoshinoya? If you’re in Tokyo and wondering where to go in Tokyo Japan, look no further than Tokyo Metropolitan Government Building! Why? Because you’ll be able to see all the places of interest in Tokyo from the observatory at Tokyo Metropolitan Government Building. And it’s absolutely free! View of Mount Fuji from Tokyo Metropolitan Government Building on a clear day? One of the experiences that we wanted to try in Japan was the capsule toy machine! Remember those “tikam machines” (Singlish for “Try Your Luck”) that you’ll find outside mama shops (Singlish for “Mom and Pop Stores”)? Known as Gachapon in Japan, they can be found in many places all cross Tokyo! Not to mention, the many cute toys (Anpanman, MyMelody, Hello Kitty etc.) that you don’t normally find in Singapore. Try out this experience while you’re in Tokyo! For a tranquil and peaceful experience in the heart of Tokyo, visit East Gardens of the Tokyo Imperial Palace. The gate, moat and garden premise itself are great spots for photos. Entry is free. If you’re bored or thinking about where to go in Tokyo, head to one of the many Tokyo shopping streets. During this trip, we visited Shimokitazawa Street, Harajuku, Shinjuku and Ameyoko Shopping Street. At Shimokitazawa and Harajuku, you’ll find many hipster shops and cafes catered to the young (and young at heart). Over at Shinjuku and Ameyoko, you’ll be able to find great eateries and options for souvenir shopping in Tokyo. Even if you’re not in cafes or shopping, these shopping streets are still a must see in Tokyo. Check them out! 6. Pablo Cheese Tart Tokyo: Must Do in Tokyo! 7. Shibuya Crossing: What a Sight! If you’re thinking about what to see in Tokyo, there is a sight that you must see for yourself at Shibuya Crossing. Here, you’ll be able to witness the sight over over 1000 people crossing the street at the same time. At peak hours, there have been reports of 3000 people crossing the Shibuya crossing in Tokyo – at the same time! :O As a result, you’ll see a sea of heads moving across this massive junction. This happens because of 2 reasons. Firstly, all the lights at this particular junction changes at the same time. Meaning, you can cross horizontally, vertically or diagonally all at the same time. Secondly, due to the central location of the city, many working class citizens and tourists past through this junction. And of course, some travellers like us who cross this junction just for the sake of crossing it  You can get a good view at the bridge of Shibuya JR Station. Definitely a Tokyo must-see! Even if you think that you have visited all the shopping venues in Tokyo, your shopping experience is not complete without a visit to Don Quijote. Don Quijote (also known as Don Don Donki or Donki for short) is a 24 hours shopping venue (akin to Mustafa in Singapore), where you can get all your souvenir shopping done at a relatively cheap price. Shopping options even extend to fashion, electronics, watches, jewelry and food at some outlets. Here, we got our kit-kat and Japanese souvenirs, not only at a discounted price but also with tax free shopping! With over 160 stores across Japan, Don Quijote is definitely within reach from wherever you are in Tokyo. 9. Tsukiji Fish Market Tokyo: Freshest Catch of the Day! At 600 yen, the Ueno Zoo in Tokyo is probably one of the cheapest zoo we’ve ever visited. But it does not mean it is of a lower quality. Besides the fact that many descriptions (if not all), are in Japanese, the collection of animals are actually quite interesting. Loved the cute sun bear playing with a broken trunk, the giant panda taking a lazy nap and the most memorable Japanese Macaques (snow monkeys) grooming each other. Though not as fresh a travelling experience as before, we still wanted to try ordering from one of these automated ticketing machines inside Tokyo restaurants. At these machines, you’ll choose your desired dish, pay for it (almost always in cash) and a ticket will be dispensed. You’ll then bring your ticket to your seat and hand over the ticket to the staff who will then deliver your order in a relatively short time. We got to try this at Ichiran Ramen, Curry House and Yoshinoya in Tokyo! One thing that we had to figure out for ourselves was the battle of the best Tonkotsu Ramen in Tokyo. Did it belong to Ichiran Ramen (一蘭) or Ippudo Ramen (一風堂)? For us, Ichiran ramen won this battle hands down with its rich flavours, generous chashu and firm textured ramen. 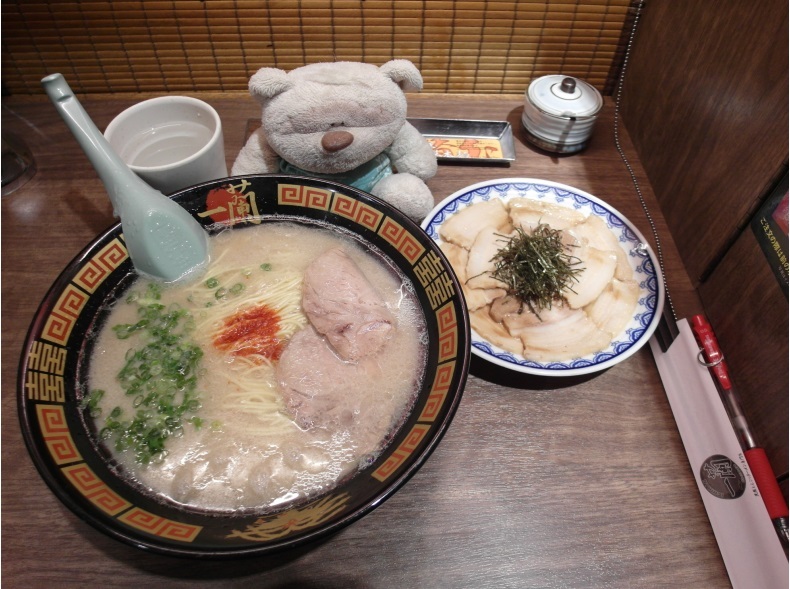 Where is the best tonkotsu ramen for you in Tokyo? Let us know in the comments section below. With the likes of 5-star/Luxury-class hotels such as the Imperial Hotel Tokyo, there are no shortage of upscale hotels in Tokyo. The good news is that having travelled to Tokyo, Takayama, Nagoya and Mount Fuji, we realized that almost all hotels in Japan are impeccably clean. Also, due to the Japanese culture of taking hot baths, there’s almost always a bath tub in the room. So go ahead and enjoy any of the wonderful selection of Tokyo Hotels deals here! We hope you have enjoyed this Tokyo guide to the top things to do in Tokyo Japan! Remember to let us know your thoughts after visiting all these points of interest in Tokyo! Top 10 Things to do and Attractions in Ipoh Malaysia! 6 Amazing Travel Experiences in Penang! Mercey Hot Springs Review: Glamourous Camping (Glamping) with Air Stream! California Zephyr Amtrak: The Most Beautiful Train Ride in North America!